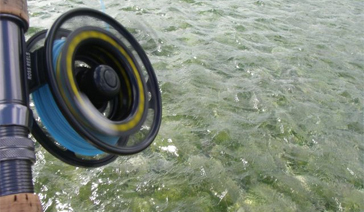 Tampa Bay On The Fly is a dedicated fly fishing shop committed to promoting and advancing the sport of fly fishing, both inshore and offshore, in salt and fresh water. With brands such as Sage, Redington, Scientific Anglers, Rio, Tibor, Temple Fork Outfitters, Galvan Fly Reels and more, Tampa Bay On The Fly offers the widest variety of fly fishing equipment accessories and tying materials available on the Suncoast. Come touch, see, and feel the gear before you buy. 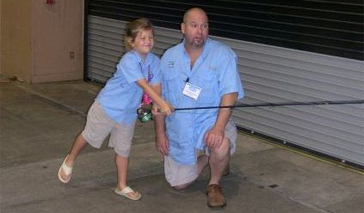 Regular fly tying , casting clinics and fishing excursions are also offered. For more information on Tampa Bay On The Fly contact us today! "You are what you eat" goes for fish, too. Because they simulate real “fish food,” well-crafted flies are important to luring fish. Learn more about flies here. Watch our fly tying video. From the rivers to the open Gulf, the waters of the Tampa Bay Area offer a vast and rich supply of fish. 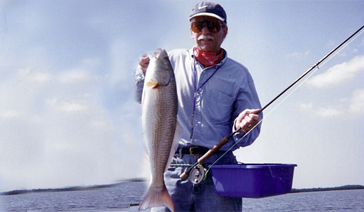 Learn more about fresh and saltwater fly fishing in Tampa Bay here.